If the Bubble Gum Gun does hit opponent, they're in a bubble stunning them for the next 2 rounds. 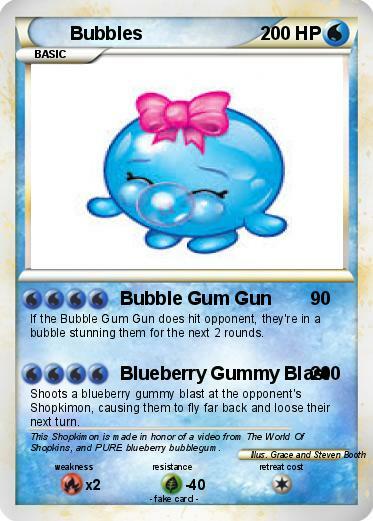 Shoots a blueberry gummy blast at the opponent's Shopkimon, causing them to fly far back and loose their next turn. Comments : This Shopkimon is made in honor of a video from The World Of Shopkins, and PURE blueberry bubblegum.